1) Climb a rope by learning to adjust the position of prusik knots, using them as hand and footholds as they climbed higher. 2) Climb a rope with the aid of wide, wooden discs spaced up the rope’s length. 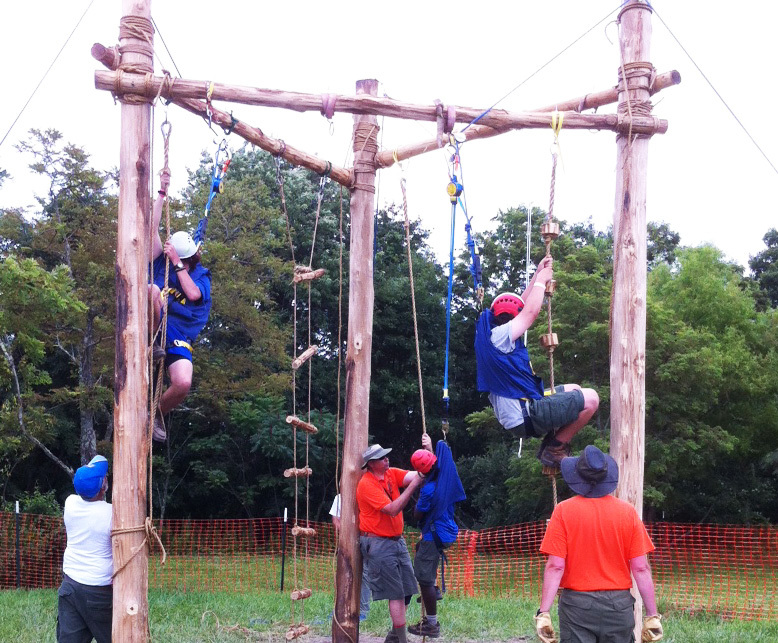 3) Climb up a rope ladder on wooden rungs attached with marlin spike hitches.